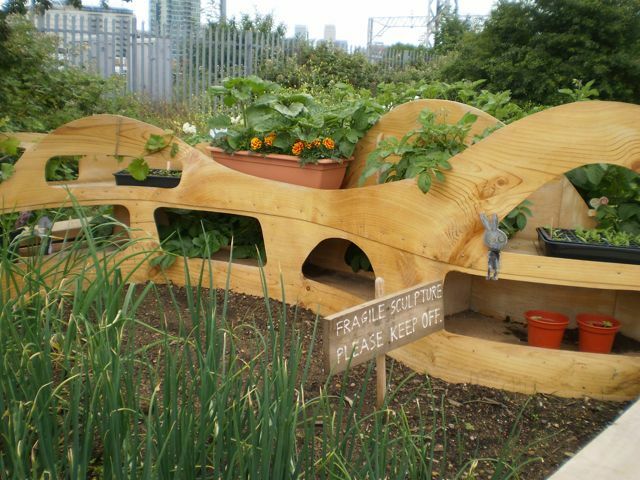 Summer Palace II was commissioned for View Tube Grow Garden, (Pudding Mill Lane, East London), London in 2011-3. View Tube acted as a public viewing station for the construction of the Olympic site. 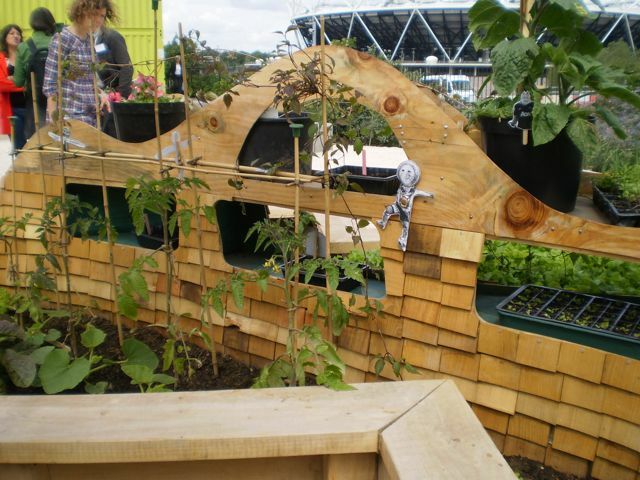 The community garden was created to acknowledge the removal of existing allotments to make way for the Olympic Park. 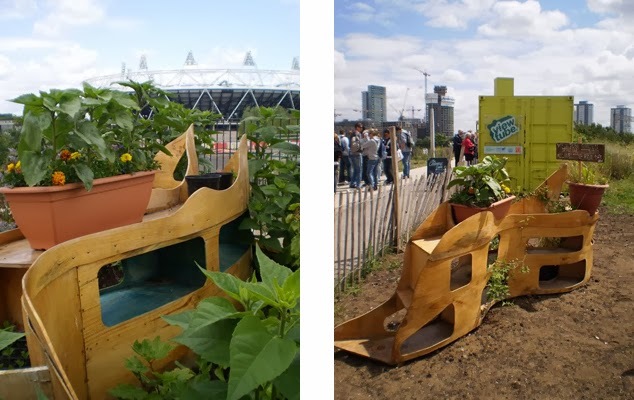 Each sculpture was placed within a raised growing bed acting as a windshield to protect the plants from the harsh weather conditions in the local area, as well as a temporary extension of the garden, inviting a variety of local artists, community groups to exhibit within the sculptures various windows. It is a series of six wooden sculptures made from one solid Black Ash tree, local to the south of England that had fallend during a storm. 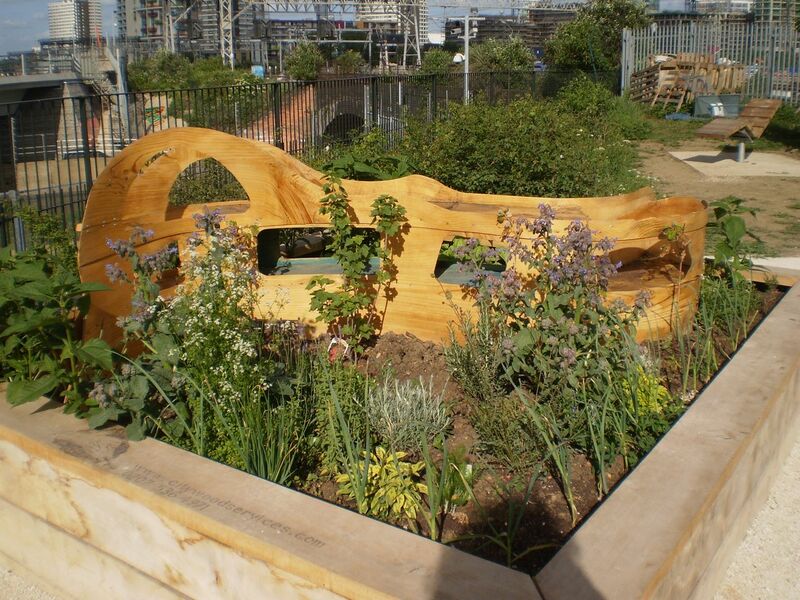 Special thanks to City Wood Services (Danny O'Sullivan, Suraiya Tuku), Tom Cretton and Javier Pavon Beltran.